Have you ever stopped in the middle of something you were doing and said to yourself, there’s got to be a better way of doing this? Productivity apps are made exactly for moments like these. There are some productivity apps that are just indispensable for anyone, while there are some which are essential depending on your profession. If you are someone who interviews people over phone calls a lot, then an app to record phone calls is something you should install on your phone right away. You won’t risk forgetting important points or remembering them wrongly afterwards. If you are confident that you always remember things accurately afterwards, it’s time you viewed this Ted Talk by Elizabeth Loftus. You could revisit the recording, should there be any differences in the interpretations of what was discussed during the call. This problem gets even more pronounced with multiple participants during a conference call. 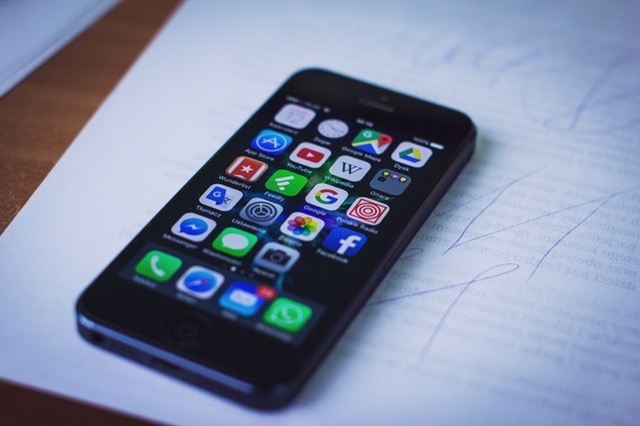 Given that many developers write apps specifically for the Android platform or the iOS, it only makes sense that we recommend a separate app for either platform. So without much ado, we present what we think are the best apps to record phone calls for Android and iOS. It might be a good idea to quickly go through the legality of recording a phone call before proceeding. In the end you will probably settle with just one app to record phone calls, which can do its job to perfection. Hence instead of making a list of apps, we have chosen for either platform, what we think are the best apps to record phone calls in 2017. We have taken the following parameters into consideration while choosing our winners. The strange thing is that our recommendation for an app to record phone calls on iOS is not an app. One thing to keep in mind is that when it comes to call recording, Android and iOS are as different as the inherent philosophies of the companies spearheading these platforms – Google and Apple. iOS is quite closed and does not allow developers access to all native capabilities of the device – for our case, the audio stream of a phone call. Hence the most foolproof way to record phone calls on an iOS device is to channel the call through another calling service and then record this audio stream. Recordator.com makes you route your call through its cloud telephony service. Technically, this is as good as your telecom operator providing you a call recording service (they can offer you the best recordings of your phone calls because they are the ones who route your calls). The result is that the phone call recordings thus generated are as good as the sound quality during your call – if you had perfect reception, you recording quality too will be perfect. 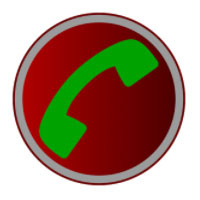 Recordator.com charges per minute, but the phone calls you make to your recipients while using it are free, which in a way brings down your total cost. This is an important factor to consider when any app claims that they do not have a per-minute charge. Using Recordator.com you can record outgoing calls, incoming calls as well as conference calls. Since it is not an app, but a web-based service, it works across any iPhone and any iOS. Once the phone call is made, the recording is accessible in your account where you can listen to it, download it in an MP3 format or even share it with your colleagues using its URL. To begin using it, simply head to the website and sign up for an account. You get 10 minutes of free call recording to try out the service. Enter the number of the person you would like to call, and click on the button that says Click-to-call to initiate your phone call. Recordator.com’s systems will then place a call to you, another to your recipient and patch both calls. The ongoing call will be then recorded and made available in your account immediately after you hang up. There is an option where you can make your call recipient see your number instead of a generic number. Frankly, there isn’t even a contest in this category. One app that has been leading the pack for several years now and is still going strong with more than a 100 million installs is Automatic Call Recorder (ACR) by Appliqato. Beware; there are several other apps with similar sounding names and logos that are ludicrously similar to ACR’s. On supported devices, ACR gives recordings that are of call audio quality. But it would be a good idea to check if your device is fully supported before installing ACR. Recording quality can be significantly inferior in unsupported devices. ACR is free, but in order to make use of it’s advanced features you will need to purchase the Pro version at a price of $6.99 in the United States. You can integrate your ACR account with Dropbox and Google Drive as well. Find it here on the Play Store. If you have used any app to record phone calls in the past, what was your experience. Do share it with our readers below. Happy call recording!